From the Editor – What Does All This Mean? This has been a very interesting year in lawn and landscape mergers & acquisitions. The merger of The Brickman Group, Ltd. and The ValleyCrest Companies brought the opportunities in the landscape services industry into focus for investors and people both outside and inside of the industry are looking for opportunities. The question is “What does all of this mean for a typical business owner in the industry?” Frankly, for many, it probably does not mean a great deal. For others, both potential buyers and sellers, there are more opportunities than in recent years. However, even those who have no interest in buying or selling a business are likely to see some changes emerge in their local markets as various types of consolidation take place. Traditionally, the holiday period, when things slow down for many in the industry, has been a time for planning. You see the topic everywhere, especially in the trade magazines and in the words of industry consultants. For most contractors, developing an exit plan should be a part of their regular planning process – whether they are looking at the long term or have a more immediate reason to consider an exit. For some industry business owners, considering acquisitions can be an important part of their strategy and growth plan. It has been an “interesting” year personally and I am very glad that we are now at year’s end. We are hopeful for a much better year – for everyone – next year. Thanks for your understanding, support and, especially, for your friendship during the past year. Arrow Environmental has acquired Harmony Lawn Care of Bradenton, Florida. Truly Nolen has acquired Fox Pest Control of El Paso, Texas. Davey Tree has acquired Klebasko Environmental Services in Maryland which has been combined with Davey’s Wetland Studies and Solutions unit. Levine Leichtman has completed a leveraged recapitalization of its portfolio company, Lawn Doctor. Turf Diagnostics & Design and Hummel & Co. will merge January 1 to form Turf & Soil Diagnostics. If you know of green industry business sales or mergers & acquisitions that should be reported here, please contact us. Please also add us to press release distribution lists. The deadline to be included in our widely- followed annual review of transactions is January 8. As a special Holiday thank you, we are offering our clients and friends a downloadable PDF version of our 148-page book, Green Exit – Exit Planning for Lawn and Landscape Business Owners without cost or obligation. Click here to download your copy. This offer expires January 31, 2015. The Brickman Group announced that the combined Brickman/ValleyCrest organization will adopt a new name, BrightView, and logo. The name incorporates the initials BV in a nod to the two legacy organizations. Although the name has been announced, it will not be used in operations until mid-2015. Few other details of the integration plan for the company have been revealed. Click here for the full story and the press release announcing the new name. For a list of markets with businesses wanted, click here. The primary focus is commercial maintenance, but some design-build may be acceptable. There are also opportunities for lawn care businesses in many markets. For a list of businesses for sale, click here. This list represents a portion of the projects we are working on which may be of interest. Ron Edmonds of The Principium Group will be leading a roundtable discussion at The Western in Kansas City on January 4. The topic is Transition Planning in the Green Industry – Family, Employees and Third Party Sales. Click here for more information.  Principium’s Ron Edmonds will be presenting a webinar for the Professional Landcare Network, entitled “Exit Planning – Simplified – for Lawn and Landscape Business Owners” The webinar will be held on Wednesday January 7, 2015 at 1:30 pm Eastern Time. The webinar is free for Planet members and $99 for nonmembers. If you are not a Planet member, contact us and find out why you should be. Click here for more Information. Contact us for information about booking Ron Edmonds to speak to your industry group or company meeting on green industry acquisition strategies, exit planning and similar topics. The Sellability Score is a quantitative tool designed to analyze how sellable your business is. After completing an online questionnaire, you will immediately receive a Sellability Score based on a 100 point scale along with instructions for interpreting your results. We will send you the full report along with a guide for interpreting the Sellability Score in the Green Industry. Many thanks to those who have expressed their sympathy in connection with the recent death of our son Ben after a devastating three-month illness. Here’s a link to a blog post written by his Memphis doctor you may find interesting. It focuses on the paths we choose to follow and the state of the health care system. I thin you’ll find it interesting. We currently plan to attend the following events. If you’ll be there too, we’d welcome the opportunity to meet with you. © 2019 Principium Capital, LLC. All rights reserved.